Colorado used to be a Subaru state: it seemed that Subarus sat happily in many Colorado driveways and toiled along many of our roads. Lately, however, I’ve noticed an uptick in the number of Audis on the roads, and the folks at AAA Colorado AutoSource confirmed for me that Audis, at least of the Q5 and Q7 variety, are among its best-selling vehicles. The Audi Q5, introduced in 2009, is one of the best-selling Audi models in America, which is no surprise given that it’s part of the ever-enthralling crossover class that so efficiently balances form and function. However, since the Q5 was introduced, several other luxury automakers worked on perfecting their own premium crossovers, thereby putting the Q5 in a somewhat outdated category. Thankfully, the Q5 came out swinging for model year 2018 with a complete redesign, with nothing changing for model year 2019. I drove the 2018 Audi Q5 2.0T Quattro with the Prestige trim that had a final MSRP of $56,100, which is 10 grand more than the base model. The good news is that even the base model comes with quite a few bells and whistles, so spending the extra money, while nice, is not necessary. 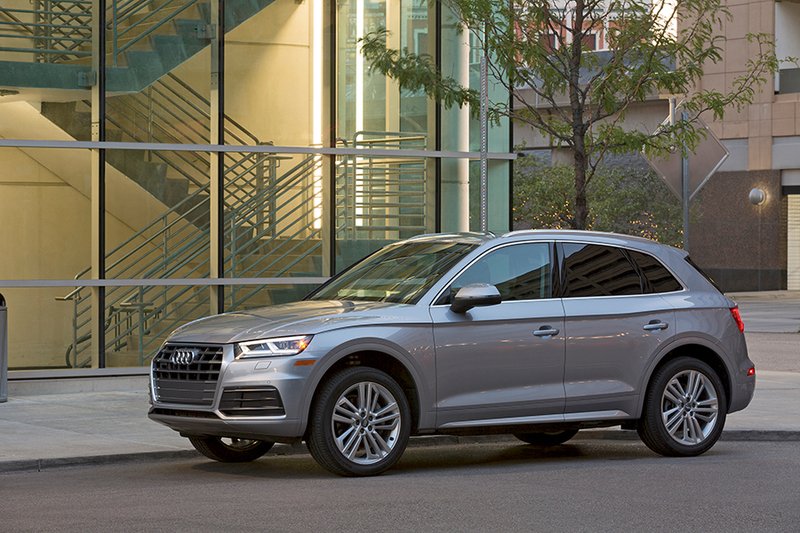 The 2018 Q5 comes with a 2.0T four-cylinder engine and Audi’s patented quattro all-wheel drive system. Even though you’ve likely seen the word quattro on Audis for years, the version in the 2018 Q5 has been revamped and operates with even greater effectiveness than ever before. The Q5’s 2.0T engine is paired with a seven-speed automatic transmission that combined deliver smooth gear shifts and sprightly handling. Fuel economy is officially estimated at 25 miles per gallon (mpg) combined, though I averaged a little higher than that. Audi has always embodied good design and the 2018 Q5 is no exception. Outside and in, this car has style. Everything from the angular exterior lines to the soft leather seats and wooden accents ooze easy luxury. With a wealth of leg- and headroom, this car can actually fit five passengers of varying sizes, and rear cargo space is ample. Audi also has a knack for technology and the Q5 has got lots of it. Apple CarPlay and Android Auto capability are present as are active safety features like Audi pre-sense, which intervenes to prepare the vehicle for impact in the event of an imminent collision. The Q5 I drove also featured the available Audi Virtual Cockpit, which replaces the traditional instrument cluster with a digital display that the driver can easily customize. Since I am often hauling more children and gear than the average person, I also drove the 2018 Audi Q7, which has that ever-useful third row. The Q7 got its redesign in 2017, a year before the Q5, and not much is changed for model years 2018 or 2019. I tested a 2018 Audi Q7 2.0T with the Premium Plus package and a few other options that brought the price to an MSRP of $62,100. 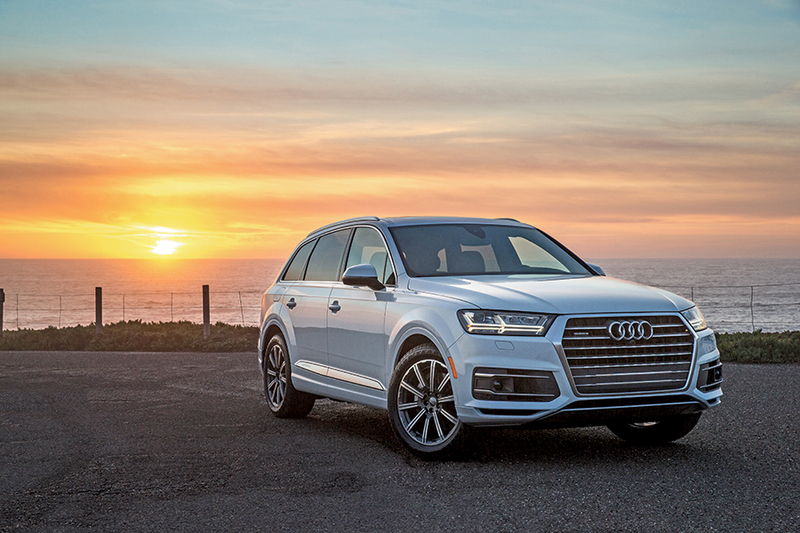 While the 2.0T engine on this larger car still performed well and offered silky smooth acceleration, the Q7 also offers the option of a supercharged 3.0T engine with six-cylinders and 333-horsepower. Rumor has it that the 3.0T is a blast, but it will cost you about $6,000 more off the lot. The Q7 includes many of the same swank finishes and enviable design features as the Q5. 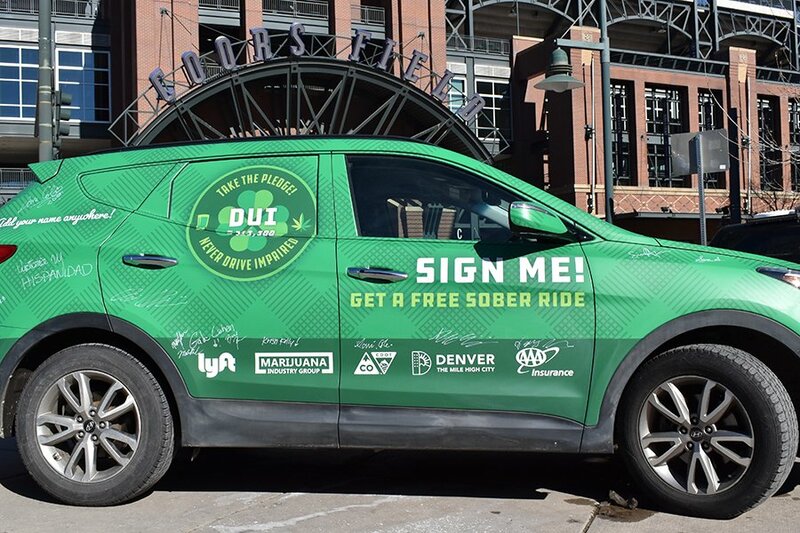 Additionally, it offers things such as the double sunvisors up front that allow you to block the sun from the front and the side when necessary, which it so often is in Colorado; the huge panoramic sunroof; and, the available night vision system that helps the driver detect pedestrians and other objects at distances of up to 300 feet in the dead of night. The only slightly disgruntling thing about the Q7 comes by way or cargo space, or lack thereof. The center console is almost unmentionable it’s so small, the cupholders are all also tiny, and rear cargo space is lacking with all three rows in use (which in my life, it inevitably is). Minor complaints notwithstanding, the Audi Q5 and Q7 are top-notch cars. If you’re in the market for a premium SUV, check with AAA Colorado AutoSource, and they’ll help get you into one. Courtney Messenbaugh is a freelance writer in Lafayette who has been writing about cars and life in the car for more than a decade. 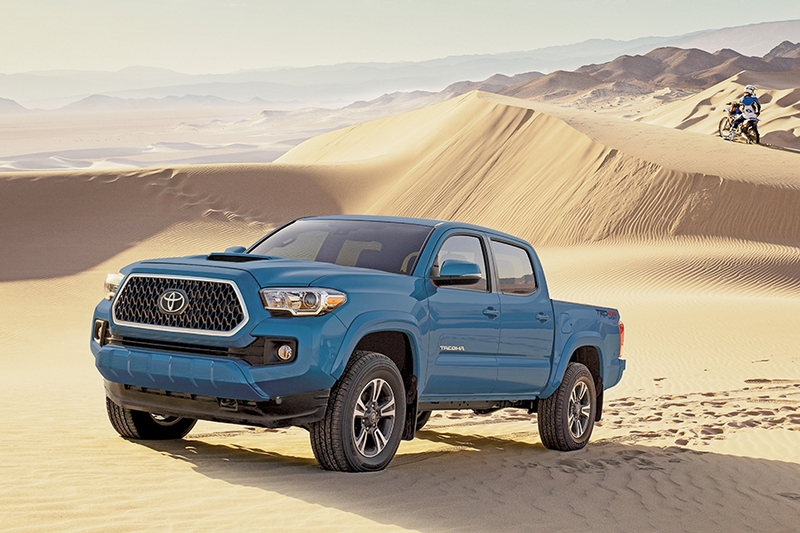 Find out why the Toyota Tacoma is a popular choice among AAA Colorado members. 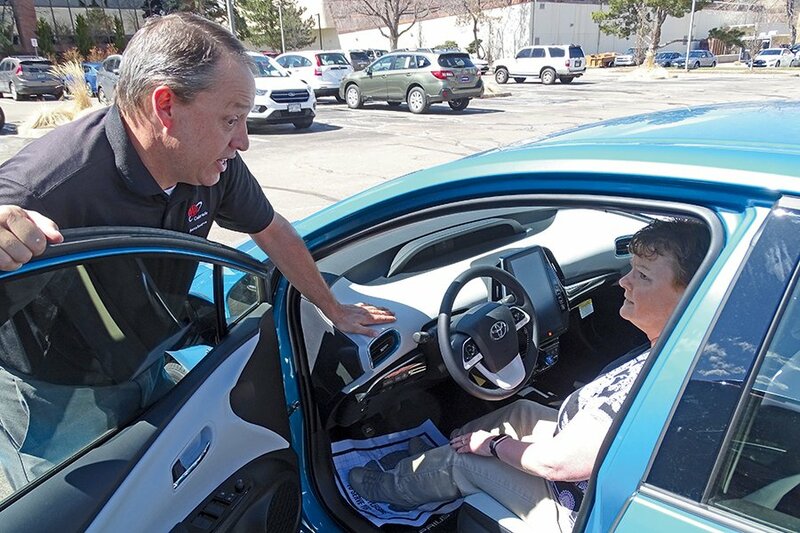 Ken Bolser discusses the benefits of using AAA Colorado’s car-buying service with Mike Persinger, car-buying consultant for AAA Colorado AutoSource. 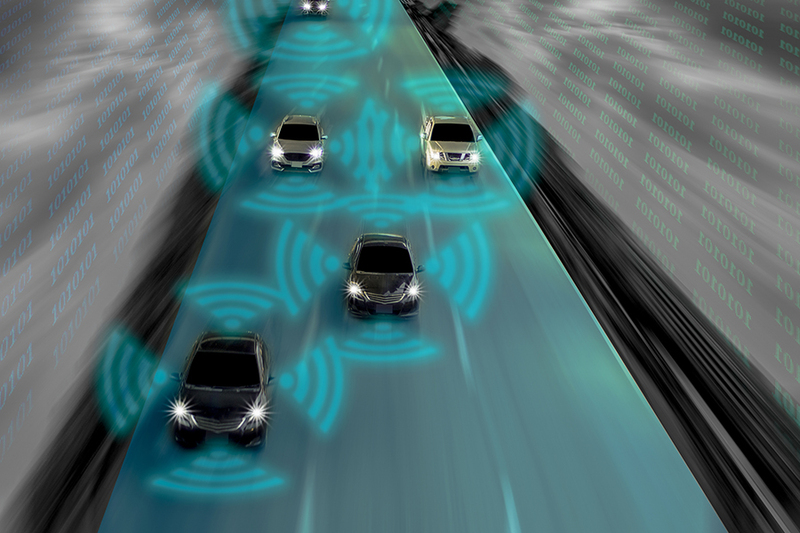 Self-driving technology is evolving on a very public stage, and as it turns out, every time you drive, you’re sharing the road with the technologies that will lead to a fully self-driving car.